The newest Teenage Mutant Ninja Turtles movie was a blast! Everyone’s favorite heroes in a half-shell are back. 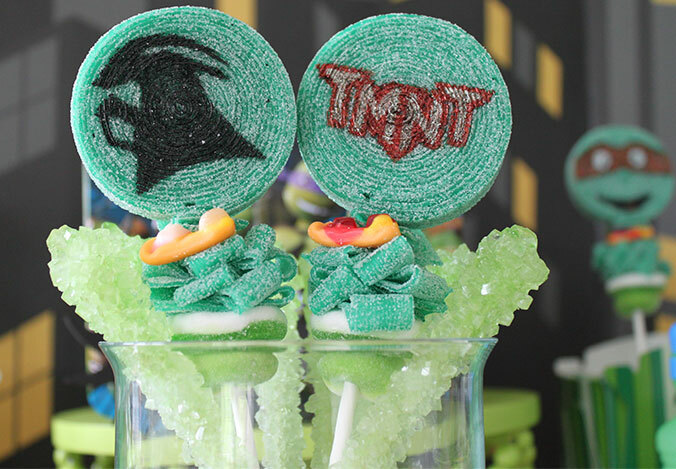 Whether your child’s already a fan of the Turtles’ TV show on Nickelodeon, or the movie was their first TMNT experience, they’re going to love the idea of a Teenage Mutant Ninja Turtles birthday party! 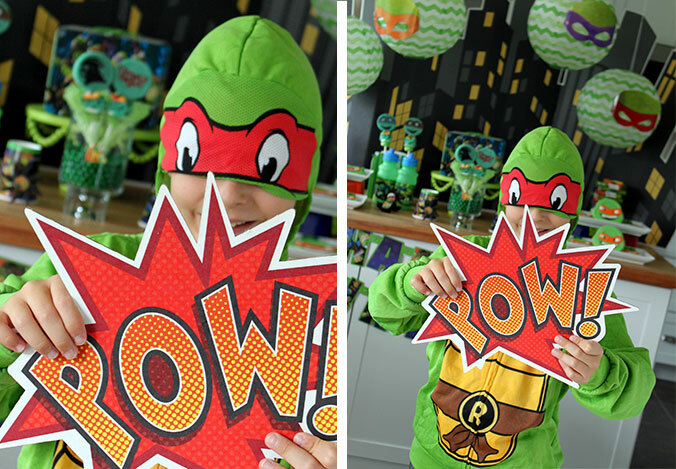 Once again, Jen Dixon of Craft That Party has styled a stunning party for us – visit her blog here for the full photo set, or continue reading here to learn all about our Teenage Mutant Ninja Turtles party supplies and party tips! 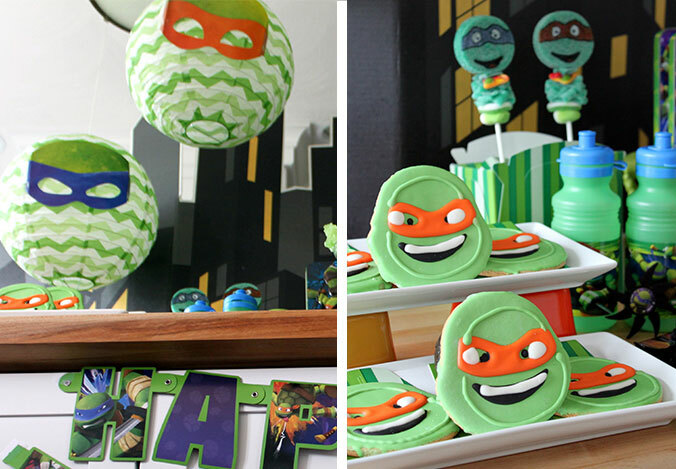 With our Teenage Mutant Ninja Turtles party in a box, it’s easy to build the ultimate TMNT birthday party. Simply select the number of guests you’re expecting, and then adjust the amounts of each item to fit your needs. 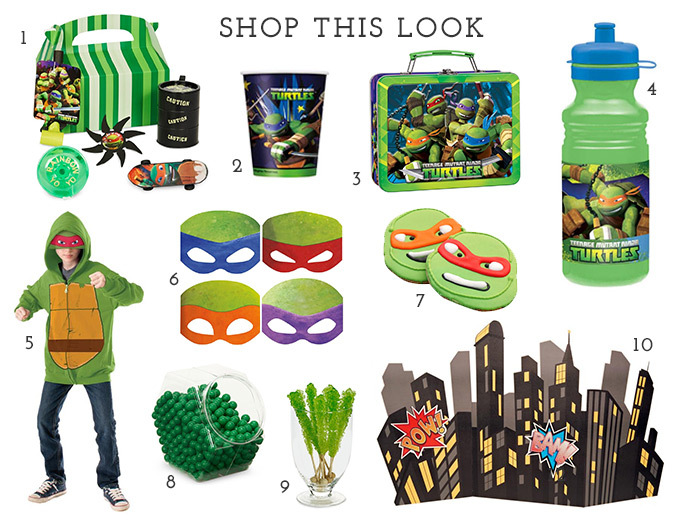 Basics like TMNT plates and napkins are included, as well as awesome extras like balloons and birthday banners. These fun comic book cutouts come from our Superhero Comics cardboard standup cityscape. Not only does it provide a great city backdrop for the TMNT party, but it’s super easy to assemble and makes for great photo ops. The guest of honor will have a “shell of a time” posing in these TMNT hoodies, too. Currently, Raphael (red) and Leonardo (blue) are available – TMNT costumes for kids will take this party to the next level! Green chevron paper lanterns were the perfect fit for this party. Jen gave them a little extra turtle power by adding paper TMNT masks to each one. Every kids birthday party needs a table full of sweets! After all, it is a special occasion. Glass jars are a fun way to display green Sixlets and gumballs, and skewered rock candy sticks can be stuck inside as well. 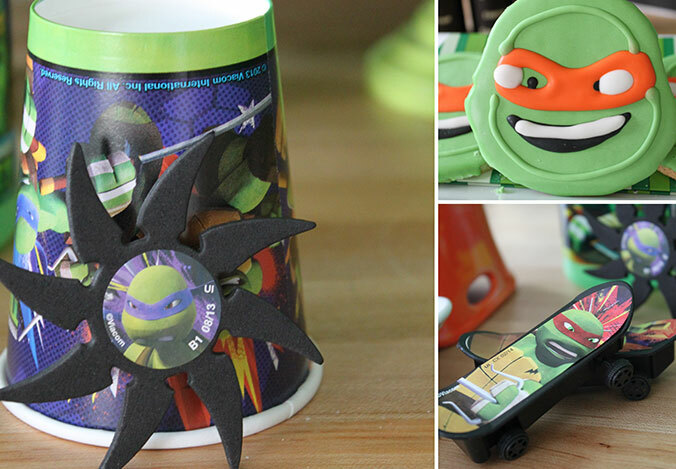 TMNT lunchboxes and water bottles can serve as table decorations as well as party favors. …while these two featured the stenciled, smiling faces of the Turtles themselves – so cute! 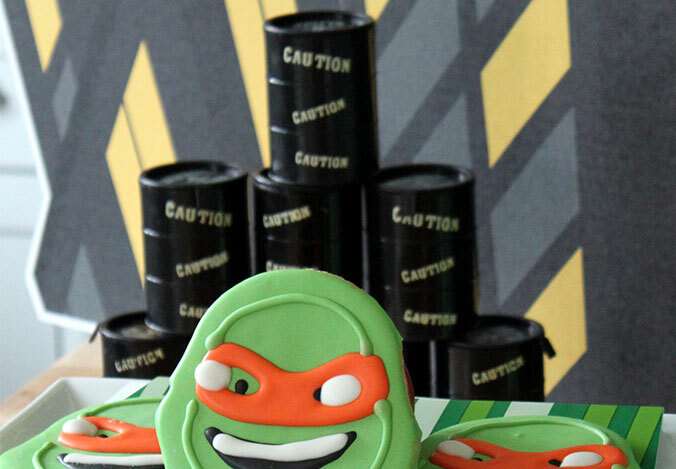 Pizza erasers made the perfect TMNT party favor – if there’s one thing that Leo, Don, Mikey, and Raph love, it’s pizza! No ninja is complete without his trusty shuriken, either. These fun foam throwing stars are fun to toss around, and are safe enough to play with indoors. Make a ninja training party game out of it: set up a pyramid of empty cans, cups, or bottles, and see who can knock down the most! 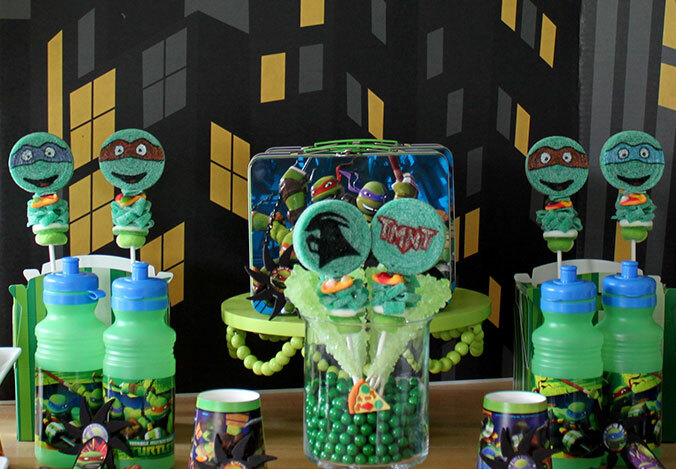 Our collection of TMNT party favors is topped off by black barrels of “slime” (they do live the sewer, after all), wind-up skateboards, and fun yo-yos. 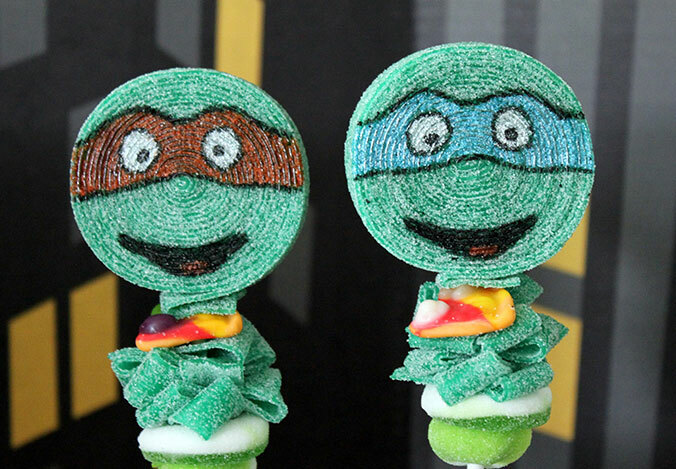 Every child can take home a couple of TMNT cookies, too! Build your party favor assortment out of our pre-filled box, or fill empty boxes with your child’s favorites! Click inside this graphic to Shop This Look and get everything you need for the party! 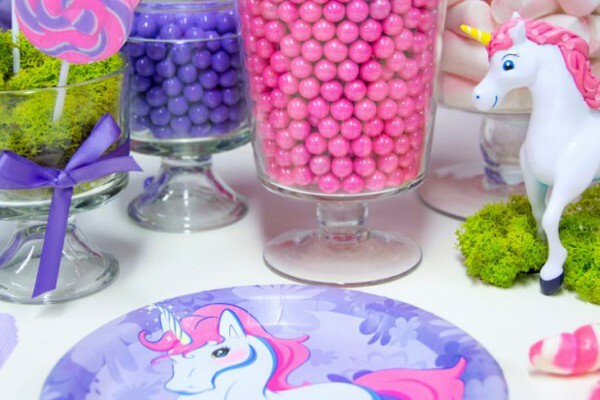 Add in other special extras like foil balloons and piñatas to create a truly unique party experience. 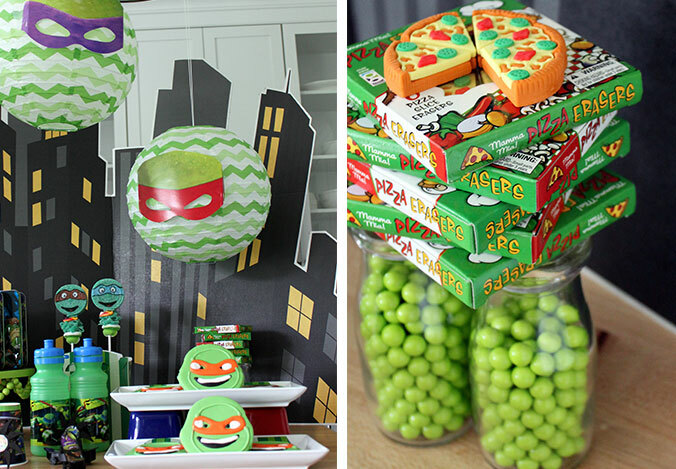 Is your child into TMNT as much as we are? Were you a fan of the original Turtles cartoon when you were a kid, too? 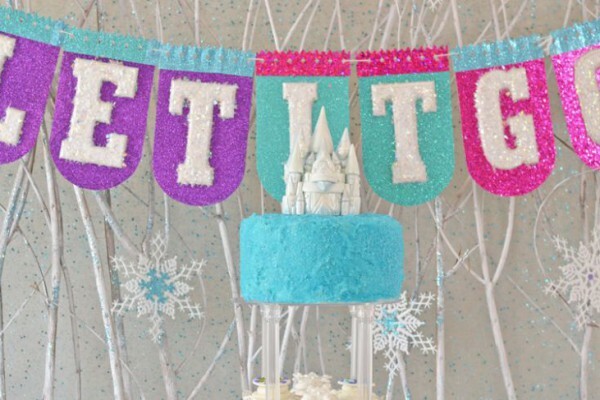 What birthday party theme should we come up with next? Share your thoughts and party pics with us on Facebook and Twitter @BirthdayExpress! Be sure to check out our Pinterest boards too, for all sorts of party ideas and inspiration. 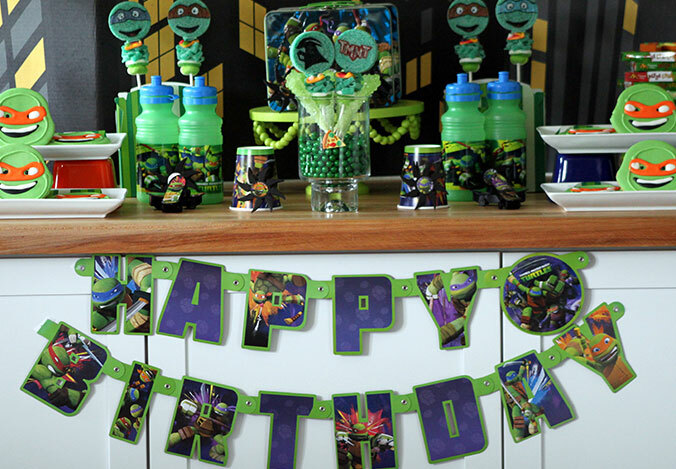 Shop the complete selection of Teenage Mutant Ninja Turtles party supplies on Birthday Express. 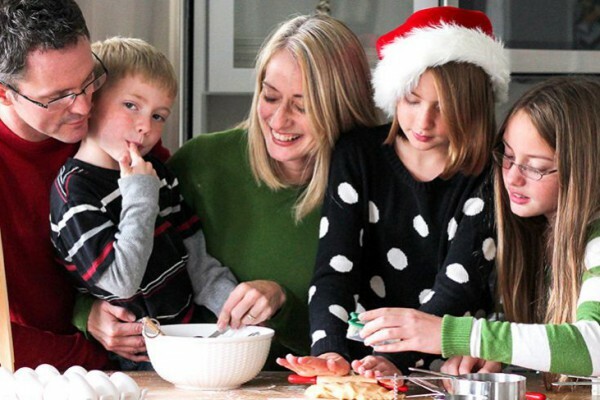 Party styling in this post by Jen Dixon of Craft That Party. 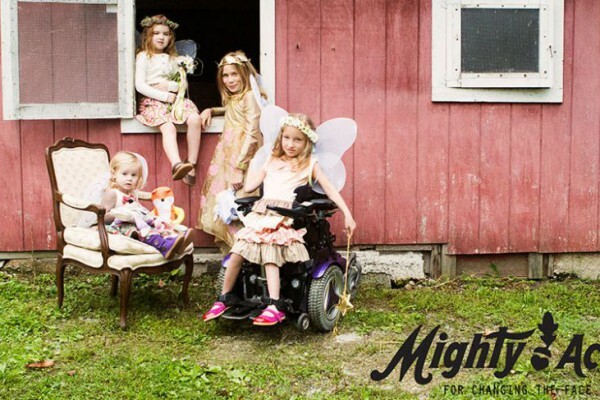 Photography by Allison Duda of A Joy Photography.